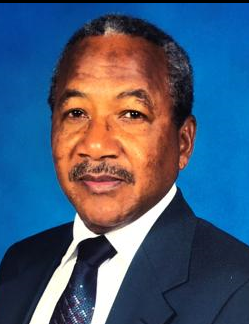 Obituary for Lincoln U. Gidden | C. L. Page Mortuary, Inc.
Lincoln U. Gidden 73, of Treadways St. Catherine Jamaica, succumbed to cancer surrounded by his family on January 28, 2019. Lincoln grew up on a farm, which is where his love of the outdoors was rooted. He was the sixth of eight children to his late parents, Pearl and Lawman Gidden. He had the Godly foundation of a father and Lay Preacher hence his love for God and His word, Sunday School was a must plus Church. An enterprising business man Lincoln began his education at the Bermandy Primary School, a private Accounting Institute which lead to a career as an accountant at Bogwalk Milk Milo Factory and The Jamaican National Bank in Spanish Town. He later travelled to New York where he earned a Bachelor Degree in Business Administration Major Marketing from Iona College. Lincoln loved the outdoors, especially deep-sea fishing, and his favorite catch was Strawberry Grouper and Yellow Tail. He was later introduced to shore fishing by his brother-in-law Clayton Roache, with whom he would compete and fry fish. He worked as a Business Contractor for a majority of his career, but was forced to give up his career due to his health. Lincoln was a loving father, husband, and friend. Lincoln is survived by his wife, Norma of 34 years; son, Christopher Gidden; sisters, Marjorie, Edie and Dolsey and many loving nieces, nephews and extended family.